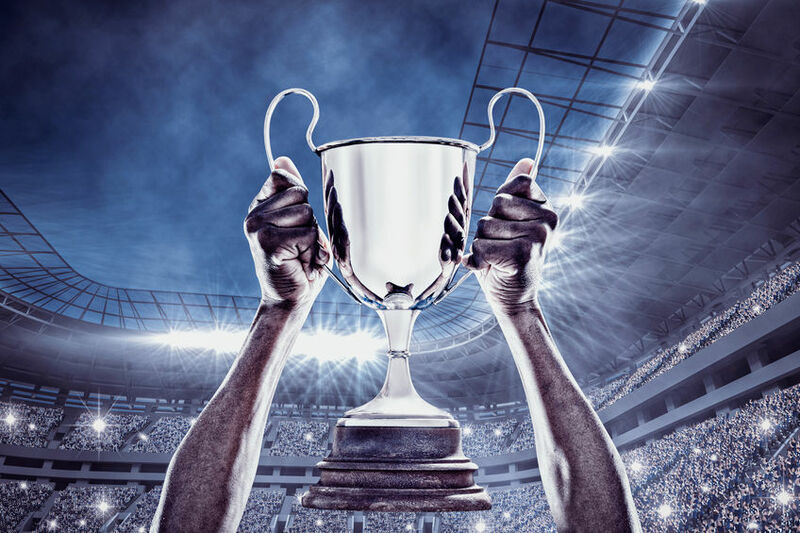 It’s that time of the year – footy finals season – where the efforts of all players are summarised as a position on the competition leaderboard, with one team ultimately declared the best for the season. By this stage of the season, we know who the higher performing teams were for the year and no doubt there will be much post-season analysis of what worked for them and what went wrong for the others. Not only will players reflect on their individual performance, but so too will the coaches tasked with looking at the bigger picture, and the formulation of new ideas and strategies will follow. Ultimately, the post-season analysis is a process of reflection for an improved performance because while those teams that do an adequate job will turn up on game day and win some and lose some, it’s the high-performing teams that make it to the finals. The same can be said of boards: a board of directors can turn up to meetings and do an adequate job, but it’s not the same as being a high-performing team that will really drive an organisation’s success for the future. The AGM season is the finals season for boards. In forming a team, you can bring together a group of individuals who on paper look good and should, technically, be a high-performing unit. The players can be in peak condition and the best at their particular position, and if you send them out onto the field or court as a group of individuals, they’ll probably go OK.
That doesn’t mean though that they’ll be a cohesive unit, have an understanding of each other’s strengths, and know how they can best fit into the team for maximum effect. They’ll also lack any game plays and essentially be playing blind. They’ll do an adequate job but not be performing to the best of their combined abilities. That’s where the team coach comes in: a person who is a part of the team but also separate from it, who can see the strengths and how to make them fit for optimum impact. The coach will bring different knowledge to the table in order to challenge the team to bring their A-game and help them learn how to work together. This is the purpose of a board evaluation and board-focused workshops that challenge directors. It’s essentially bringing in a coach to identify how the team is performing, to assess knowledge gaps, strengths and weaknesses, and to help formulate game-plans. Among directors and boards, there is a sense of fatigue around evaluations. They’re often seen as an obligation to be ticked off rather than the opportunity they present to create a high-performance team. In the new era of greater expectations on boards and individual directors, ensuring knowledge gaps are filled and that directors are challenged to set aside their own biases and thoughts will be crucial for boards to fulfill their responsibilities effectively. There are some key and obvious signs that a board is doing an adequate job and could use a review and some support to step up a level. 1) All directors are always in agreement. In sport, if all the players on the team were sitting in the same position, they’d be left vulnerable and exposed. A high-performance team has players spread across the field in different positions, looking for opportunities and gaps in the play. Likewise, a board in which everyone is always in agreement – always at the same position – is at risk of not being a high-performing team. Harmony around the board table is all well and good, but if directors are always in agreement without questioning anything then it could be a sign that nobody is challenging what they don’t know. An environment that is too collegial is one in which a board risks group-think and ultimately stagnation. A stagnate board will rely on the same-old same-old and not seek to challenge the status quo, particularly if results of the organisation are deemed to be adequate. 2) One or more directors are always in disagreement. On the flip-side of the first point, a team in which some players are always arguing with others is a team with a fracture that will hamper its performance. High-performance athletes tend to have a strong belief in themselves and their ability. It’s not unfounded self-belief, but egos need to be checked at the locker-room door or at least kept in-check by the coach and other players. It’s the same for boards: personality and bias issues can derail the board’s effectiveness if not resolved. Being able to challenge the status quo for the greater good is a communication skill. Resistance to the considerations and opinions of another director or directors on a regular basis doesn’t necessarily mean people can’t work together. Sometimes it’s a matter of introducing a circuit breaker via an outside consultant – the coach – who can challenge the thinking and communication process and create some cohesion, even in times of disagreement. High-performing teams will have a standout captain. This will be the person who works to ensure team cohesion, the person who shows leadership on the field or court supporting the players to achieve their best, who makes the calls on plays in action, and sets the expectation of team behaviour on and off the field. His or her job doesn’t end when the game does – they continue talking and interacting with the players, coach, fans and broader team membership in-between games, building the team profile and value. In the boardroom, these captain duties fall to the chairperson, whose role in-session means they direct the information flow and who has a say, they synthesise contributions, and influence the dynamics of meetings. Signs that the role of chair isn’t being fulfilled as well as it could include: not running meetings effectively; not ensuring all directors are heard; not going through the agenda properly; dominating the meetings and discussions; and failing to bring the group together as a team. A high-performing team doesn’t just think about what happens during a game: they’re working hard off-field too. This is the work they put in at training, the way an athlete looks after their body and works on their mindset, and it’s the talking to the coach to understand how they can do better. It’s also about representing the team or club outside of the game, connecting with fans and members, and helping boost the team’s reputation and brand strength. High-performance players don’t just turn up to the game and play for the hour or so. Directors who fall in to the trap of thinking their role is to simply read some board papers and turn up to the meeting are playing an adequate game but not a high-performance one. A high-performing director will put in the time it takes to do the job to an exceptional level. They will also look at skills training – work on their own personal skills – as well as identifying how they can better add-value to the organisation. Conducting more background research, maintaining relevance and knowledge, and critically, leveraging their individual networks to build the profile of their organisation. The expectations placed upon directors are increasing regardless of sector or size of the organisation and more scrutiny of boards is likely. What’s considered adequate in terms of a board’s performance is evolving, and what has been adequate to date won’t be moving forward. A high-performing board of directors will test whether their egos are in-check and consistently look to set new KPI’s for future performance. They don’t assume they know enough or know everything, and will seek to challenge themselves and their colleagues. Leadership for the future requires self-awareness and an openness to being challenged as a means of growth and self-improvement. Board evaluations and ongoing workshops are opportunities for directors to work with a coach to take the team to the top of the leaderboard. GBD specialises in taking boards to the next level. Starting with an evaluation process, we help boards develop strategies and communication styles to help directors become high-performance teams.